Keeping in contact with your patients even when they aren't in your practice is important for maintaining loyalty and filling your schedule. Email is an easy and modern way to keep in touch with your patient base. But, diving into email marketing can be intimidating if you don't know the steps to take to make it worth while. It's not as simple as haphazardly sending disorganized emails out to whomever you choose - there is a science behind it and best practices to follow. Whether you're using e-mail as part of your broader digital campaign strategy or as a standalone campaign, we want to help you start strong. 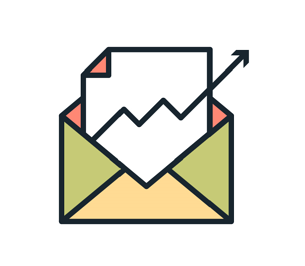 As marketers ourselves, we want to share with you the five steps your practice can take to get started with email marketing today. Don't want to bother driving more business with email marketing? Check out our 4 Week Plan to Bigger Profits in Your Dispensary.